You smile more easily than usually and your natural aura seems to draw your family circle's attention to you. They think you are nice, open-minded and receptive. 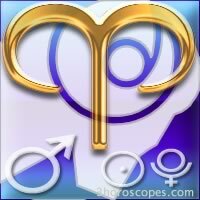 Besides, Venus is in harmony with your sign and will increase your magnetism. If you are single, this week could be the beginning of a new love story. 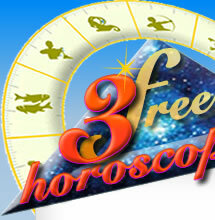 You feel more self-confident thanks to Mercury, that's why you will express yourself and share your ideas more easily. It's a good time as far as oral tests, conferences and defence speech are concerned. Besides, you will easily find solutions to your problems and your professional contacts turn out to be very fruitful to you because you know how to adapt yourself to what's going on around you. Aries : do you know your zodiac sign ? Do you know your planet Mars ?